"My Goal for the BXI is to place in the top 5, that is the most important thing and also an new experience cuz BXI is a hight level contest ,hope all will go grat and i am eager to show of to the fans on the stage", sagte uns Florin V.P. Grafel. Florin Grafel war Rumänischer Meister, Bronzemedaillen Gewinner der Balkan Meisterschaft. 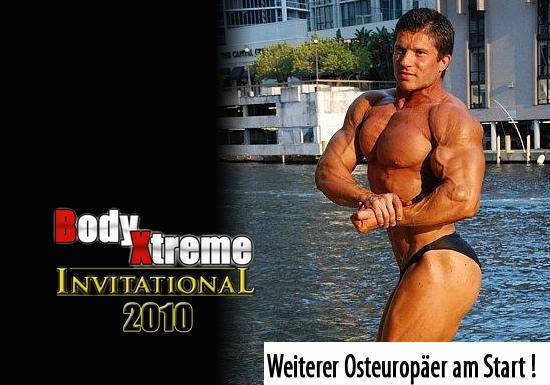 Zum Body-Xtreme Invitational am 16. Oktober in Mainz plant er mit 95kg an den Start zu gehen.